This rolling cart will allow you to move and transport round tables with ease. Stack, store, and transport up to five (5) folding tables on a durable, lightweight storage cart that maneuvers easily on swivel caster wheels. 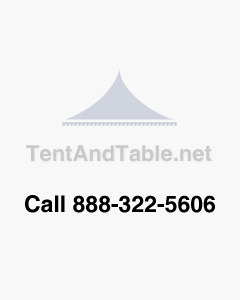 This unit is perfect for party rental companies, banquet facilities, convention centers, schools, churches or any facility that needs to quickly set up and take down tables and chairs for events. Dimensions: 26" x 43" x 55"